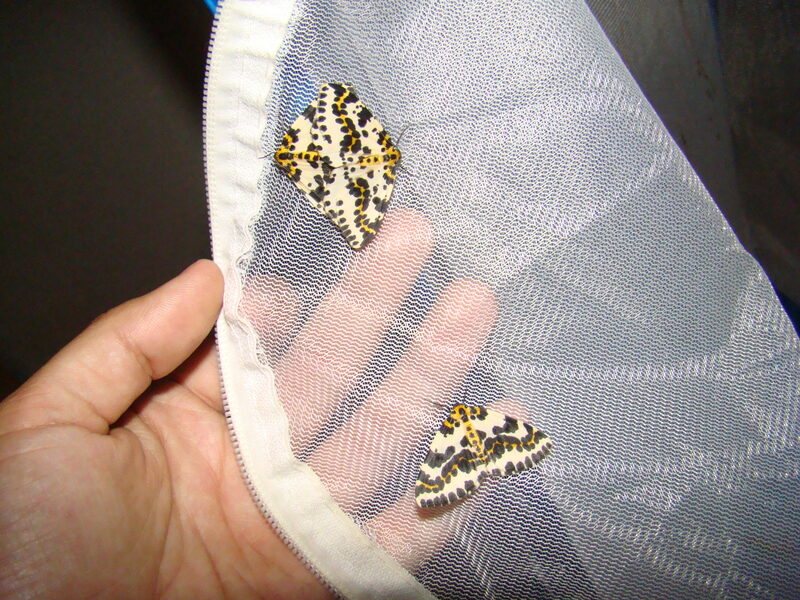 Abraxas grossulariata — “Magpie moth” | Welcome, visitor! 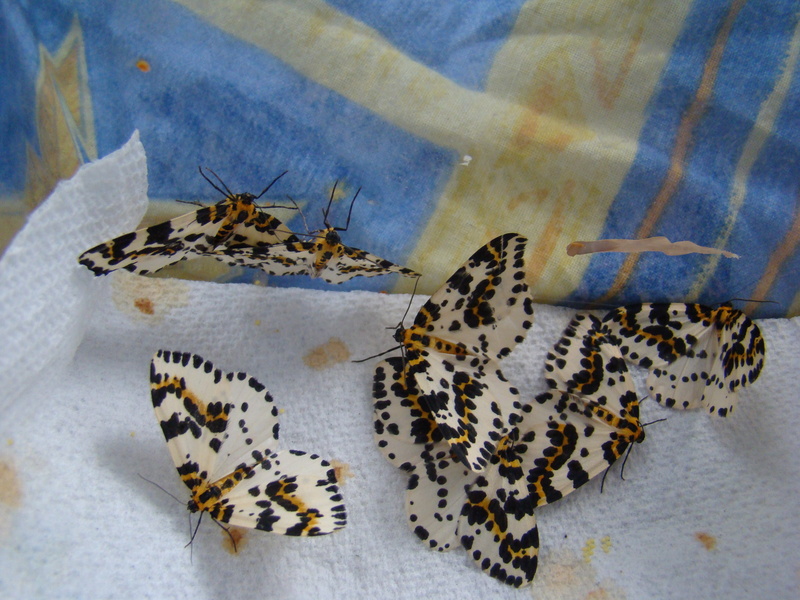 Abraxas grossulariata, the Magpie Moth, is a small speckled moth that used to be very common in Europe, but has been declining recently. Interestingly, both larvae, pupae and adults share the same colour theme. A fun species to try! They are highly variable, and interesting “abberations” in the colour pattern in captivity may be more frequent due to their variability. Species also occurs in parts of North-America and Asia. Abraxas grossulariata is fun to rear in larger numbers! Berry shrubs, especially Ribes species like gooseberry (Ribes grossularia), and redcurrant (Ribes rubrum) are the main host plant of this moth. Though alternatively, they have also been reported to feed on various Prunus species, like blackthorn (Prunus spinosa). Hawthorn (Crataegus) and willow (Salix) have also been reported, though Ribes sp. is best recommended for breeding. 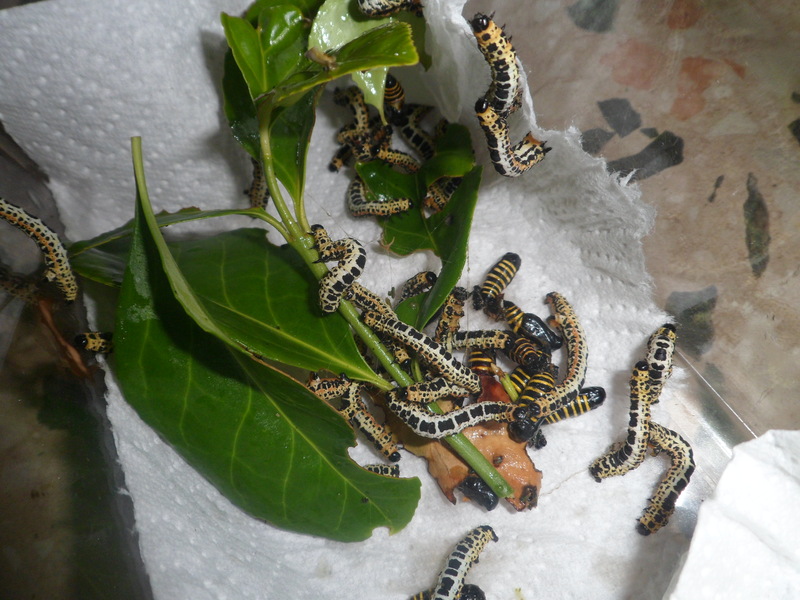 Both larvae and adult are predominantly white, decorated with black dots and patches of yellow. The fact that this Lepidoptera shares the same colour theme in almost all stages of it’s life sets it apart. Adults do not feed and are short lived, but are very eager to pair. Abraxas grossulariata has only one generation a year – larvae overwinter and develop slowly and are ready to pupate around late spring/summer. This process may be sped up in captivity, if the larvae are reared on room temperature. Pupae quickly hatch into adults within two weeks. 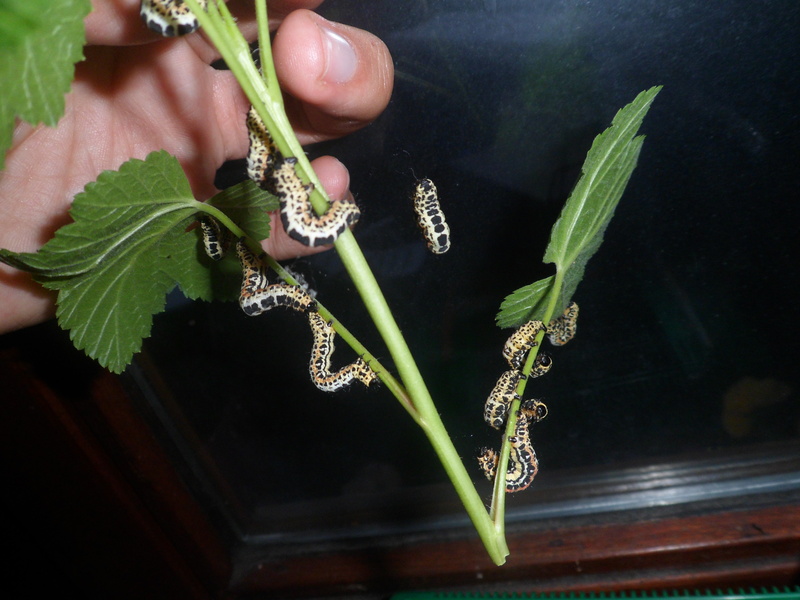 Copulations are easy to archieve, even in small containers it is easy to breed them. 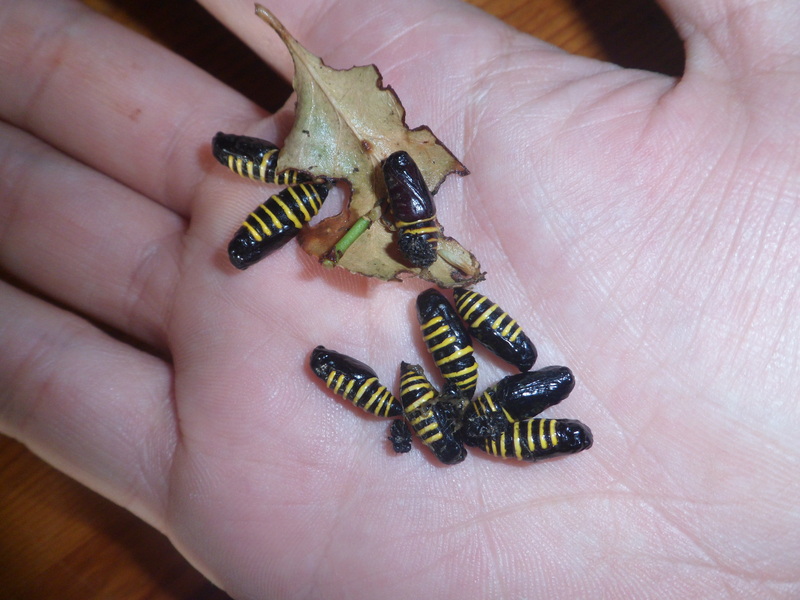 Interestingly, the pupae of this moth are black with bright yellow stripes, which meight be an aposematic display! Wild populations of this moth appear to be commonly parasitised by small Chalcid wasps, which often caused many losses in my wild-caught livestock. Breeding and releasing butterflies and moths Some breeders have the ambition of helping their favorite species by breeding and releasing them. This article tells you why you’re actually harming them with your good intentions. Don’t do it.